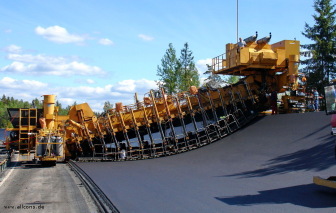 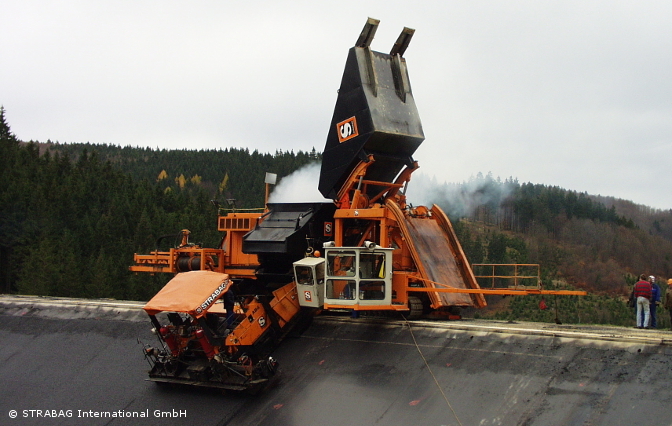 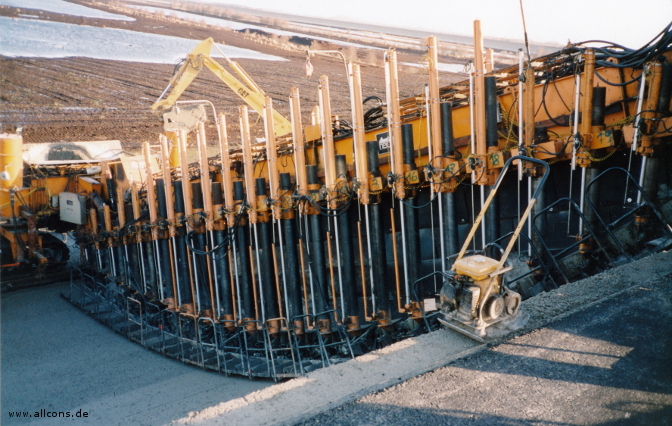 for paving flat, inclined, parabolic or even varying track profiles, up to 450t/hr asphalt with standard feeding system, much higher production rates on request available. 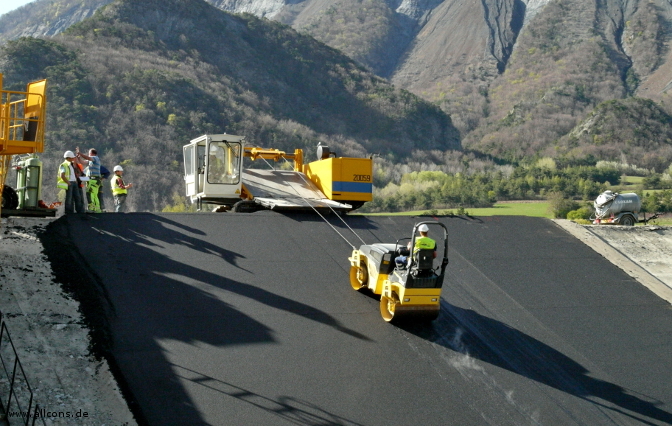 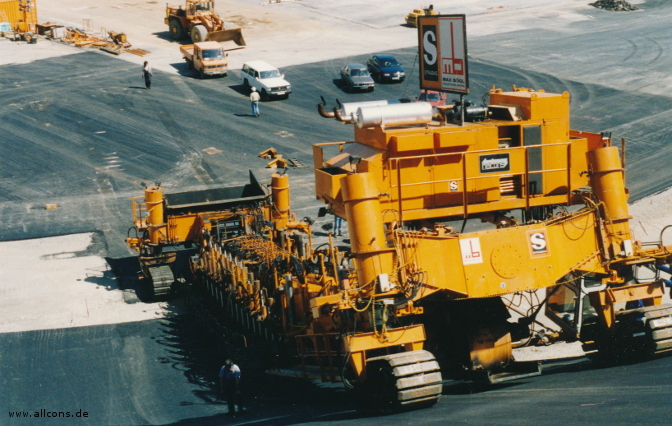 designed to pull and hold a road roller safely on slopes, for compacting the asphalt. 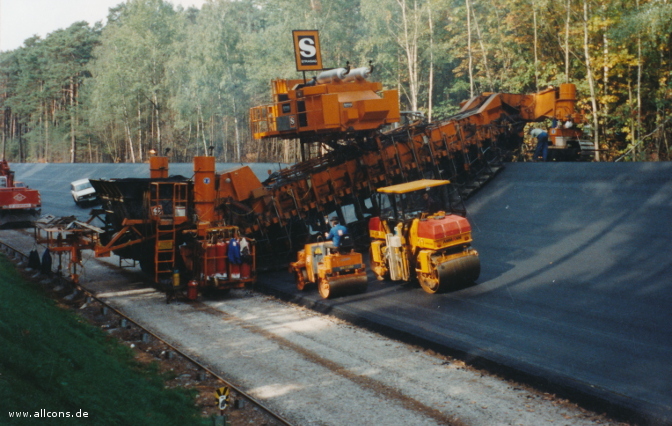 High speed test tracks are designed in a way that the curve shape and inclinations are exactly compensating for the centrifugal forces of the test vehicle, this is also known as “superelevation”. 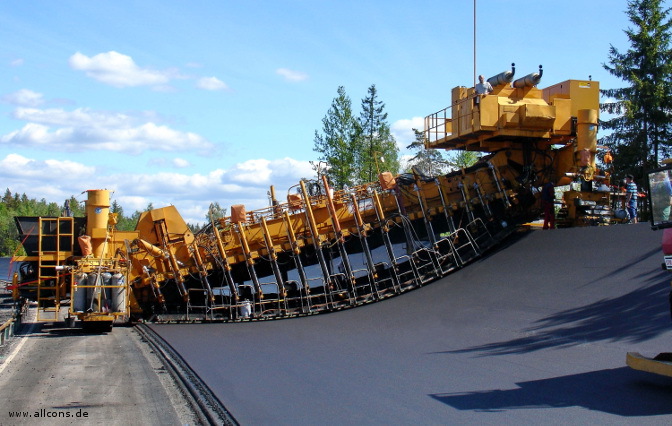 Accuracies of millimeters are necessary to pave the varying shape of such a track. The allcons Series PA7000 is the only machine in the world that meets these requirements.